Scott Elmquist Drew Dayberry sells home goods with a vintage look and a reputation for quality at Roaring Pines. 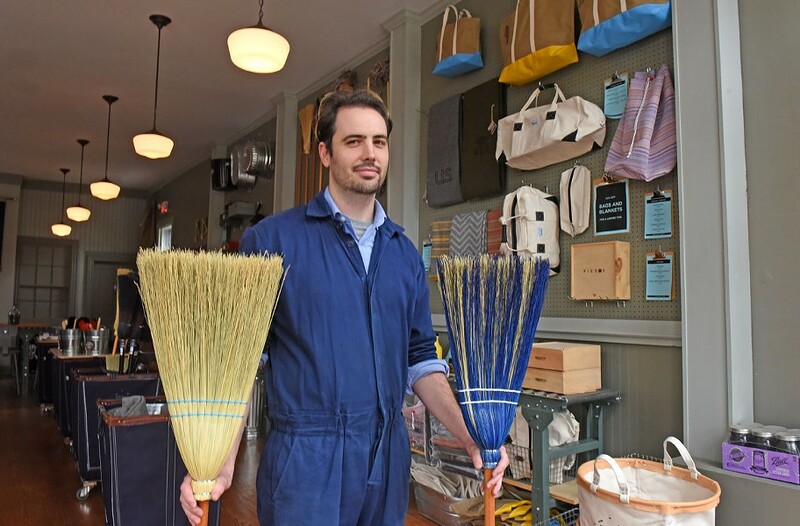 The Church Hill shop seeks to bring back an emphasis on American manufacturing of everyday items. Owner Drew Dayberry stocks old-fashioned home goods mixed with modern reproductions, aiming to provide sturdy products that last. The store has an old-timey feel with a bar where kids can gather around a drugstore-style soda fountain. Dayberry even dresses the part, in blue coveralls. For sale are such practical items as galvanized mop buckets and military-grade blankets. But Dayberry also has a fun side and stocks cardboard airplanes, Frisbees and Lincoln Logs. But quality is sometimes costly. A laundry caddie from Steele Canvas runs $79.95. Before he opened at 2025 Venable St. in February, Dayberry sold his products through roaringpines.com, launched three years ago. He honed expertise in marketing the store’s vintage feel during a previous career at a West Coast advertising agency.